As discussed in a previous blog, there have been a lot of changes since the ‘good ol’ days’ of primary care practice where single handed GPs worked on their own in small communities. We have a very different NHS now compared to when Aneurin Bevan first presented the idea of a health service for all, free at the point of delivery. We think of primary care surgeries as being part of the NHS but they are not directly run by the NHS. One of the concessions that Bevan made to GPs in 1948 when the NHS was set up was to allow them to remain independent private contractors. GPs are independent contractors, running the surgeries as a private business. They are contracted by the Clinical Commissioning Groups (CCGs) to provide primary care services but are not employed directly by the NHS. The business model they use is called a partnership. They are responsible for all the staff and their employment contracts, and all financial aspects as well as provision of care for their patients. The changes to the way primary care is delivered have been happening slowly, probably without us even noticing. For instance when GPs were mostly single handed practices, a single community might have several GPs each responsible for small numbers of patients. However despite the NHS act of 1948 intending that over time GPs would be re-housed within heath centres, it wasn’t until the 1960s when a new contract (NHS Act 1966) improved pay and conditions, instituting a maximum list size of 2000 patients per doctor as well as bringing GPs together to work in groups in improved premises. Now we have single practices with multiple GPs, but each GP is still responsible for about 2000 patients, so in a way things haven’t changed as much as we think, we still have a choice of GPs, we just have them all under one roof with a single back office team of receptionists, secretaries, nurses, dispensers and practice managers to support them. That gives them economies of scale. GP practices are getting bigger. But the economies of scale haven’t stopped at a few individual GPs coming together in small groups under one partnership. Three-quarters of practices are now working collaboratively in larger-scale organisations. This has been laid out the the Five Year Forward View and the General Practice Forward View One example of working at scale is where groups of general practices covering a minimum number of patients of 30,000 come together offering a wider range of care. This works well with the move toward place-based care where patients get the best care as close to home in the community as possible. This is especially important in rural areas where the big hospitals can seem a long way away when you are not feeling well. This also ties in with the Gloucestershire Sustainability and Transformation Plan (STP) for One Place, One Budget, One System. While some practices may be coming together informally in other areas there are now super-practices such as GPcare in Bristol which is a federation of 100 GP practices. They have pooled resources to create a new organisation that is able to deliver many more services in the community. In Gloucestershire all our GP practices are divided up into localities. This is the beginning of a collaboration that will bring about better outcomes for patients locally. Romney House Surgery is in the South Cotswolds Locality. This locality covers 8 practices with 49 GPs and approximately 57,233 patients. One of the initiatives that has resulted in better outcomes for many patients is Social Prescribing. Another initiative is the Frailty Service which has just started (more information on that in the new year). Why are they coming together? Two of the reasons for coming together in larger groups are to achieve efficiencies and to develop extended services which might include things like minor surgery or extra appointments on weekends or evenings. It is very expensive to run a GP surgery. Medicine has changed over the years, and there is so much more they can do for us. As we are living longer we have more time for things to go wrong. But the other end of life is also affected, with premature babies surviving which is great, but it can also bring learning and physical disabilities. Diagnostics are also changing. We don’t just get simple x-rays anymore, we get CTs and MRIs. So how much does it cost to run a surgery? One of the biggest costs is salaries. In addition to locum and salaried GPs, there is the practice manager; in larger practices that role an be split between business management and administrative management. There is often a separate IT manger too to over see the management of the IT infrastructure which includes the computerised referrals, medical records, electronic prescription service, as well as the reporting functions, audits, test results (processing them, not making clinical decisions about them) and appointment scheduling. Additionally there are the nurses and the health care assistants to employ who do all the nursing aspects of our care. And perhaps most important for the patient is the receptionists as patients often have more contact with them than their GP. Other staff that some practices have depending on their situation will be dispensary or pharmacy staff to deal with the medicines. Some surgeries might also have physiotherapists, pharmacists, or other Allied Health Care Professionals working for them. There are other costs as well. The property has to be maintained and rent has to be paid. There are also high insurance fees, not just to cover property but also for indemnity for the GPs and other clinical staff. Then there is the equipment. Probably the most expensive piece of equipment that a GP practice can’t do without is their computer server. This will have to be a high end piece of equipment, not just a cheap computer off the high street, because practices are so dependant on it. The server will be used to network all the computers used for clinical work, as well as those used by the admin team. These computers access our medical records (see previous post on where our medical records are kept) so they have to be robust and secure. They also allow clinical staff to communicate both within the surgery and with other parts of the health care system on what is known as an intranet. Then there are the fridges for the vaccines and other drugs, the treatment couches, the furniture in the waiting room and many medical devices. Some practices get funding for some of these items but not all, and some practices have patient groups that fund raise in order to either provide or suppliant what is already provided. How do the GP partners pay for all this? Practices are given funding according to a formula which takes into account the types of patients at the practice. For example some practices which have a lot of older people will get more money than a practice that has mostly young people. Out of this fund the GPs have to pay for rent or mortgages, utility bills, staff wages and the cost of providing care to the patients. About half the money they receive is called the Global sum. This is designed to cover essential services. Then there is the Quality and Outcomes Framework (QOF) which contains groups of evidenced-based indicators or targets. Surgeries will be given extra money if they meet these targets. In 2015-2016 surgeries were measured against 77 different indicators. Some of the targets are to do with screening, for example screening people for high blood pressure. Then there are Enhanced services which are services that practices can provide but are not required to do so under their contract. One of the main ones at the moment is known as ‘avoiding unplanned admissions’. Additionally there are community based services known as Local Enhanced Services, which are commissioned by the CCG. Finally there is the Premises payments where some practices may receive additional funding to cover the cost of their premises if their buildings are partly owned by the CCG or a third party source. With so many staff one might think that there was nothing left for the GPs to do but they still have plenty to do, and often feel overwhelmed by all the work. We think of the GP as the person in front of us, and sometimes forget all the other work they do behind the scenes such as home and telephone visits, managing repeat prescriptions (by law the GP has to sign off on a repeat prescription even if it is prepared by the dispensary or a pharmacist), specialist clinics, correspondence and related actions for referrals and follow ups for test results, practice administrative functions (they have to be business mangers as well as health managers) training new GPs, as well as working with the CCG and keeping up to date with new information. Additionally some GPs do private work outside the NHS such as working in a prison, or being a private medical officer for a school or other business. So where does this leave Tetbury. 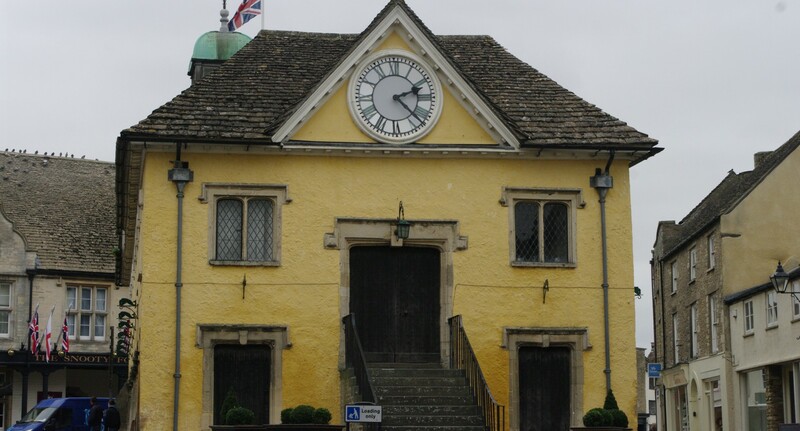 Although the number of patients that is deemed to be viable for todays modern surgery is 30,000, clearly small communities like Tetbury that only have 8,000 registered patients can’t be without a primary care surgery. We don’t have a situation where there are two smaller surgeries that can come together, such as in Teweksbury or Gloucester. It also means that we won’t have two surgeries in Tetbury even as the town expands. It just wouldn’t financially viable, and the CCG and NHS England have to be responsible with our taxpayer’s money and make sure that they get the best possible healthcare for the most reasonable price when they commission primary care services. But that doesn’t mean that we won’t have choice, we will not only still be able to choose our own GP we will have more GPs and other health care professionals to choose from. The 2016-2017 contract states that all patient should have a named GP, not just those over 75. You can asked next time you are in the surgery who your named GP is if you don’t know yet. You don’t have to see your named GP, you can see who ever you choose to see, but they will still be responsible for your care. Change can be difficult at first as it isn’t always clear why things are changing or what the future holds. However it is a good thing that change in the NHS is possible. As our health needs change, primary care services need to be flexible enough to change with them. Hopefully Bevan will be proud of how the NHS and primary care services have changed to meet the needs of the patients.